We have some questions from one of the repeaters of us. The shade of Albion Excia AL Superior Cream Foundation EX and Emulsion Compact Foundations. She asked me that Compacts are darker than Superior Cream Foundation of the very the same number. Oh…I do not know. I asked one of the girls who likes Albion, but she does not know. In my arm, The “White” is the most pale, “Moist” and “Superior EX” are not so much big different. Let me blend on my arm. Can you see the difference? No difference in this picture. In my eyes, the “White” is the most pale, and the others are not so much big different, or “Moist” is paler than “Superior EX”. 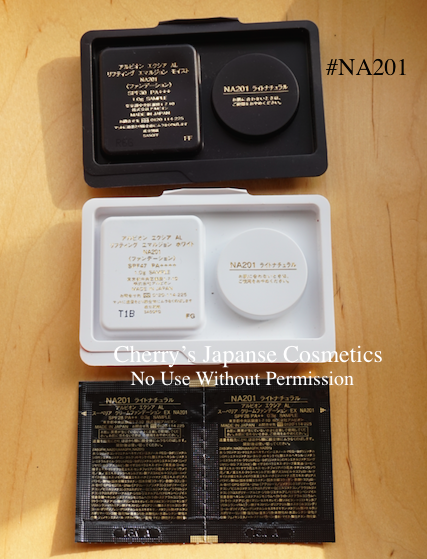 I also felt the finish of those foundations are different: Superior Cream is more glow, and Compact is more matte compared each other. I suppose some people are describing about this difference as something. Indeed they are simply in the same color zone, I am sure. 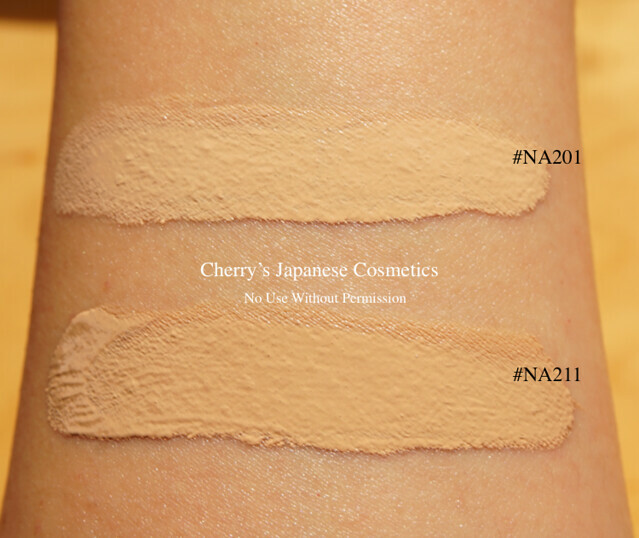 #NA211 is one tone darker than #NA201, both are standard shades for Japanese. Before of the swatch, I show you the example as the swatch of #NA201 and #NA211. 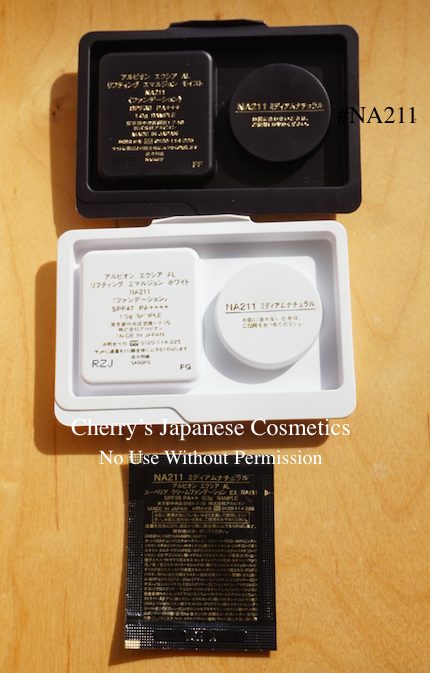 Check it more about the Superior Cream Foundation EX. To be honest, in my eyes, there are not significant difference among the 3 products. Under the different lighting. I could not find the difference. No. I could not find any difference in my eyes too. It was really interesting result what I got. There is a difference in #NA201, but could not find in #NA211. It can be also meaning that in other shades, #NA200, #OC#101 etc, they may have each different results.